Painter. Born in Kreuznach, on the Nahe, Germany on November 18, 1863. After being drafted into the German army, Mannheim deserted and fled to France where he studied art at Ecole Delecluse, Academie Colarossi, and with DeLancey and Bouguereau. Having learned book binding early in life, he used this trade to support himself while studying art in Paris. Upon immigrating to Illinois in the 1880’s, he painted portraits in Chicago and taught in a Decatur art school. Shortly after the turn of the century, he accepted a position at Frank Brangwyn’s school in London where he remained for two years. 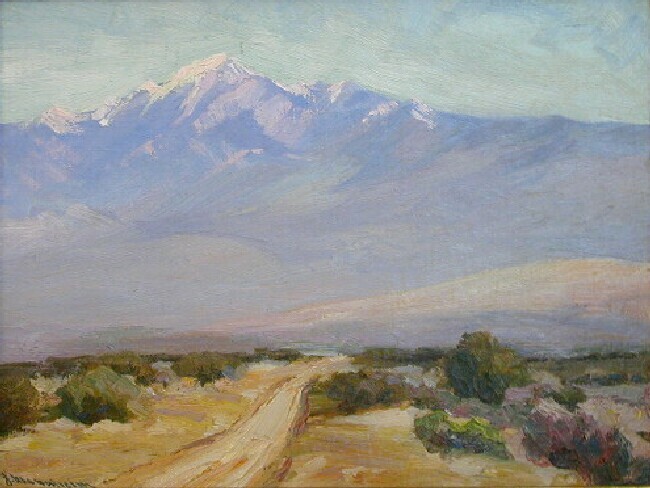 After returning to the U.S. he taught at the Denver Art School and, in 1908 made his final move to Pasadena and built a home in the Arroyo Seco. Mannheim maintained a studio in the Blanchard Building in Los Angeles where he exhibited and taught and in 1913 founded the Stickney Memorial School of Fine Arts in Pasadena. 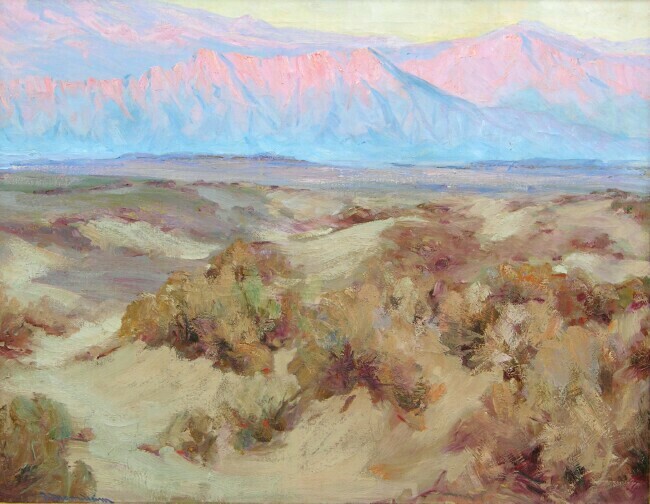 In Paris, his work consisted mainly of figure studies and it was not until his move to the U.S. that he began painting the brighter landscapes for which he is nationally known. 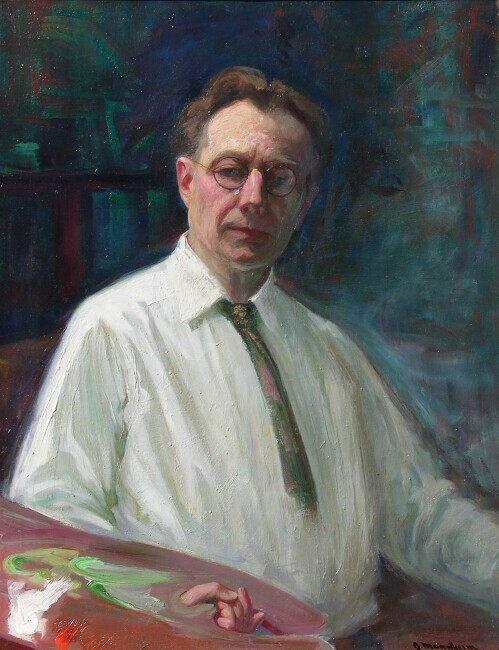 Exhibited: Del Monte Art Gallery; Paris Salon; Nationial Academy of Design; Blanchard Gallery, 1909; Los Angeles County Museum of Art, 1915, 1917, 1922; Golden Gate International Exhibition, 1939 (oil , self-portrait). Awards: Gold Medal, Seattle Exposition, 1909; Gold and Silver Medals, Panama-California Exposition, San Diego, 1915. 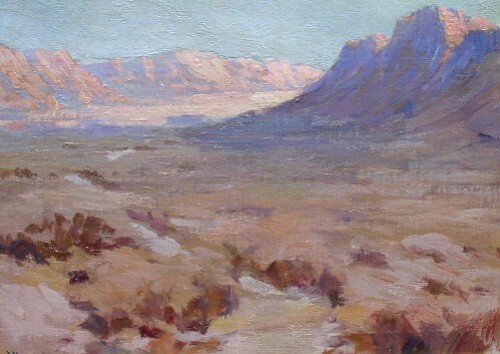 Works Held: Laguna Museum of Art; Long Beach Museum of Art; Springville (UT) Museum of Art; Denver Museum; Irvine Museum; Fleischer Museum, (Scottsdale, AZ).